Once upon a time sports management simulations were all about football, but in recent years the genre has boomed to take in everything from cricket to motorsports. The latest sport to enter the fray is the brutal discipline of mixed martial arts. 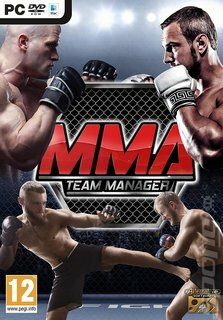 MMA Team Manager is the new bone crunching management sim that's aimed squarely at fans of the most punishing professional fighting discipline out there. Experience what it's like to run your own team and lead your fighters to international glory. You'll take them through many seasons across multiple leagues, mixing it up with over 100 teams and taking part in worldwide knockout events. MMA Team Manager boasts a 3D fight engine that includes dynamic artificial intelligence decisions and up to 100 fully motion captured animations, bringing the cage right to your screen. As with any sports management sim, you'll have plenty to keep you occupied. Train and grade your fighters in an array of traditional striking martial arts including Boxing, Karate, Tae Kwon Do and Thai Boxing, then turn your attention to their ground game and get them up to speed with traditional grappling martial arts including Brazilian Jui Jitsu, Judo, Olympic Wrestling and Shoot Fighting. To keep it all running smoothly you'll need to hire and fire the coaches and physios who will turn your club into a competitive stable of fighters. You'll want to keep the talent pipeline fresh, too, which will mean finding and recruiting fresh fighters. And, of course, you'll need to keep the facilities in good condition, upgrading them as you progress. MMA Team Manager is a deep dive into mixed martial arts that fans of the sport won't want to miss.